ORGANIC 732｜ORGANIC COTTON｜IKEUCHI ORGANIC Inc.
A tough towel. We created one that can stand up to the heaviest and toughest use expected. It won’t deform in the wash. It won’t fade with chlorine. The exquisite designs and color variations belie a toughness that will easily stand up to harsh professional use. The tough Organic 732 takes organic cotton to the next level. Let there be no more excuses about organic cotton not standing up to hard use. Organic 732 is amazingly tough. Created to stand up to the kind of use and frequent washing expected of industrial linen or in the medical field, far heavier than average household use. Strength and fastness is achieved by the elaborate composition of carefully woven fabric. Organic 7 assures absolute reliability through strength and soft volume created with the generous use of organic cotton. Choose from a variety of bright colors suitable for professional use. Organic 7 towels are dyed with threne dyes for a color fast finish that does not lose its magnificent color even with hard use. Threne dyes, which do not require a fixing agent even for dark colors such as navy and brown, are resistant to fading from sunlight and moisture and maintain high yarn absorbency. A new industrial quality towel made with sincerity by IKEUCHI ORGANIC. Designed slightly larger than normal. 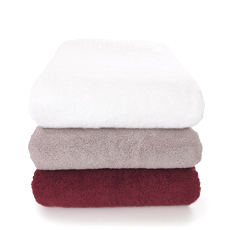 The plush pile is absorbent enough to dry your body and long hair after a bath, and still be ready for more. 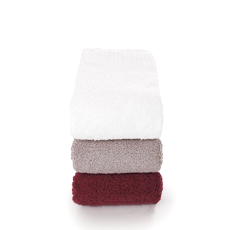 A heavy duty towel that won’t lose its shape with frequent washing or fade with chlorine. Larger than a face towel, but not as large as a bath towel. 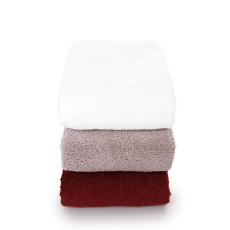 Also suited for someone who wants a compact towel that is absorbent enough to wipe your whole body dry. A perfect size for the kitchen, powder room, bathroom or draping over your shoulders to relax after a bath. Hang this wash towel by the loop in high use places such as the kitchen or bathroom to make the most of its excellent absorbency. 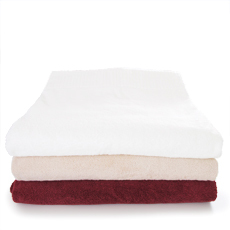 A soft, thick toweling blanket that can be used year round. Enjoy the texture change gradually with use. 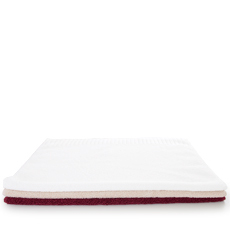 Absorbs perspiration for cool comfort in summer, and keeps the bed warm and cozy in winter. 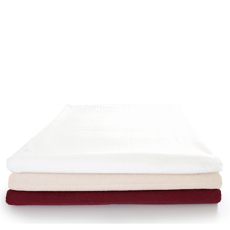 Short pile covering the whole surface promises a cozy sleep year round. Made with a high volume of yarn to create a soft touch like stepping out of the bath onto a cushion. Copyright © 2014 IKEUCHI ORGANIC All Rights Reserved.